Our entry for the RIBA run network rail bridge competition was longlisted. The scheme will be featured in an exhibition at the RIBA in portland place from the 28th February 2019 until 3rd April. Patel Dey House starts on site. Our Patel Dey House scheme has started on site. Expected completion date is May 2019. Its been an exciting year, we have been developing our existing relationships and are looking to grow our network. The Glass House project in Birmingham has completed on site. We are delighted to be working with Pocket Living on a series of feasibility studies. Pocket offer compact and well designed apartments to cater for the needs of first time buyers in the capital. [Y/N] studio have won an invited competition for a site in Kent to deliver a mixed use scheme including 63 apartments, over 1000m2 of retail and the transformation of some railway arches into restaurants and bars. Our Glass House Project has started on site and is well underway. Our Acle Bridge Visitors centre proposal is now online. 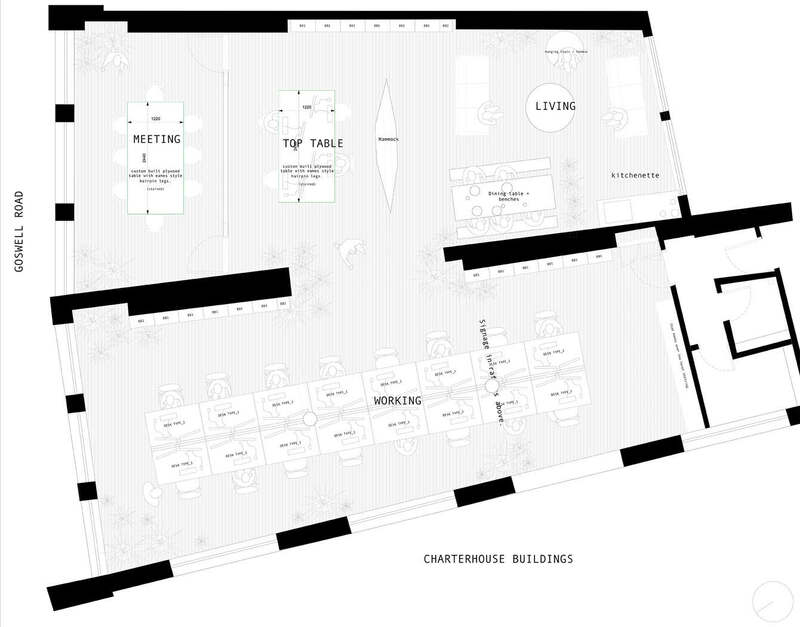 Our submission for St Martin’s Church in Brighton looks to utilise the space for large scale art installations. We proposed a skills exchnange centre to help tackle london’s hidden homeless crisis. Our Phedon House sheme was awarded planning permission. The scheme which will be clad in weathered steel is dues to start on site next year. As part of an invited competition for a large site in West London we proposed a nurwery and community centre. Our scheme included a nursey which is designed to angle views towards an existing mature tree. [Y/N] Studio were awarded 2nd prize in an invited competition for a large site in West London. Our scheme proposed a series of large stepped buildings which would provide large public terraces. [Y/N] Studio entered a competition in Arrecife Lanzarote for a public space which creates natural shelter and enclosure from busy urban life. We are delighted to announce that the bradbury street workspaces scheme was awarded planning permission. Work is due to start on-site in 2019. [Y/N] Studio were featured in the architects journal’s new practices section. Practice director Alex Smith describes what its like to set up a practice in the immediate aftermath of the Brexit Vote. We have posted some new images of the interior for our residential extension scheme in Alvechurch. We are delighted to announce that [Y/N] Studio have won a competition to design 4 luxury holiday homes in Greatstone, Kent. More to follow soon. Planning has been submitted for the Railway Tavern Residential Scheme. We have worked up a pentagonal tower concept for a developer client. The scheme makes 5 apartments per floor, all of which are dual aspect. This year we have a number of projects either starting on site or enterring into construction stages. We have launched our new website. Happy new year everyone! We are speaking and answering questions at a public consultation in the Vortex Jazz Bar on 27.10.17. Come and check out our ideas for the project. Our plans for Garratt Lane have been granted planning permission. We have been approached to extend and refurbish an Edwardian house in Edgbaston, Birmingham. Once complete, it will allow its residents to circulate in a continuous loop. 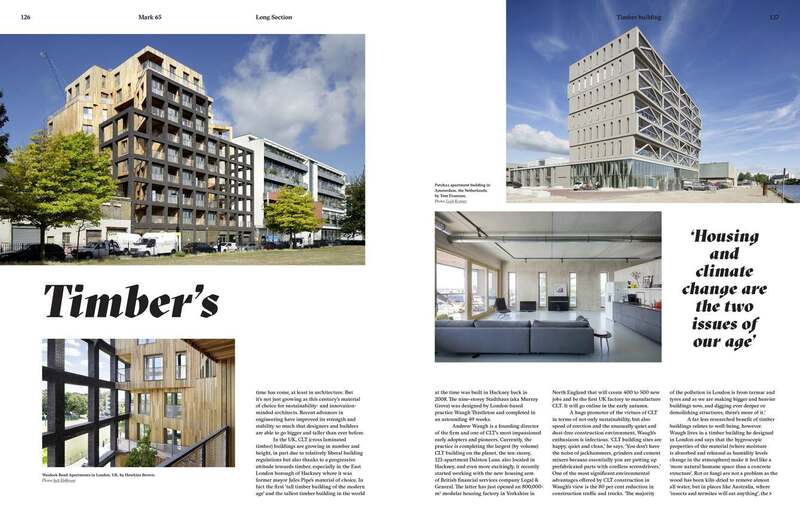 Alex Smith has been quoted in Mark Magazine describing the impact of timber structures. [Y/N] Studio are helping tech company HOOP to inhabit their new offices in Farringdon, London. [Y/N] Studio have been appointed to refurbish and extend a house in Walthamstow, London. [Y/N] Studio are working with L&Q Housing Association to deliver 5 new homes in Wandsworth including one luxury 3 bed townhouse. [Y/N] Studio have completed work to design a Garden Room in Cheltenham. The Lidoline is featured in the Greater London Authority (GLA) building as part of a recent exhibition for the Highline for London competition. The Lidoline was featured on the ITN London News and was publicshed widely in the press. The new book questions the Utopian framework of architecture to explore design for real, emotional and social communities, inspired by the ideas of late architect and Royal College of Art tutor Gerrard O’Carroll. The book was been edited by Whitechapel Gallery Director Iwona Blazwick.